Tiny tortilla cones, these taquitos are packed with smokey chorizo, thick n’ chunky salsa and hearty refried beans. Fry up the chorizo in a large pan on a medium heat with no oil, until crisp. Soak up the extra oil with some kitchen paper. Pour the Refried Beans into a large bowl and stir in the spring onions and smoky chorizo. 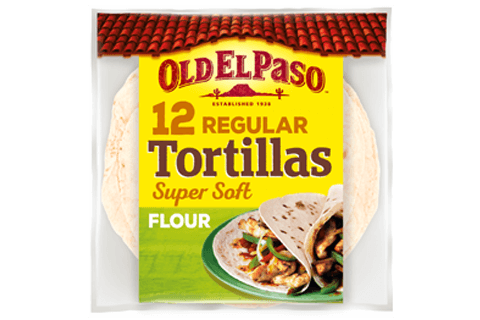 Cut each Soft Flour Tortilla in half and roll it up to make a cone. Use a cocktail stick to hold each cone together and scoop the bean and chorizo filling in with a teaspoon. Heat a pan with oil and deep fry the stuffed cones in batches for 2-3 minutes until the tortillas are crispy and golden. 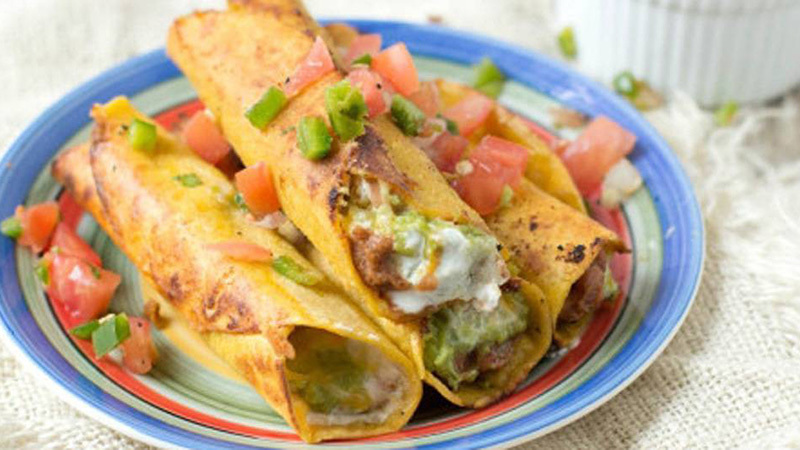 Lift your taquitos out of the pan and onto a big plate, remove the cocktail sticks and share them round at your next family fiesta, with Thick ‘n’ Chunky Mild Salsa for dipping, and Guacamole and Sour cream if desired.